Are you guilty? I know I am. Is your house in danger of becoming like ours? It doesn’t take one to be a fortune teller to be able to predict the rows that are about to descend in our house. We’ve known about it forever, but this month the water charges finally commence. I can see it now. Or rather I can hear it now. So, why worry about water in a country where the rain never seems to stop? The answer is that climate change has brought severe floods to some areas that have never experienced them before and severe drought to others. Also the decades of lack of Government investment has come home. We have a creaking, leaking system. It is time to make up for this lack of investment. We need to act not just because water charges are finally on our doorstep but because it really matters. When we think of water consumption we tend to consider only what we use directly: the water we use in cooking, washing and gardening. We also need to think about what environmentalists call our “virtual water”. As with carbon, direct uses are relatively easy to measure. How often do you wash the car or water the garden? Indirect uses are more bound up with the way you shop and the type of lifestyle you have. Over the last 50 years our water consumption has trebled and unless we have to pay for this resource this will continue to increase. Ireland is one of the few developed countries where water charges do not already exist. So, how can you help as a user? We all know the obvious but now we really need to do it. Turn off the water when you are brushing your teeth. (brushing your teeth with the tap running wastes 6 litres of water per minute). Take short showers instead of baths. 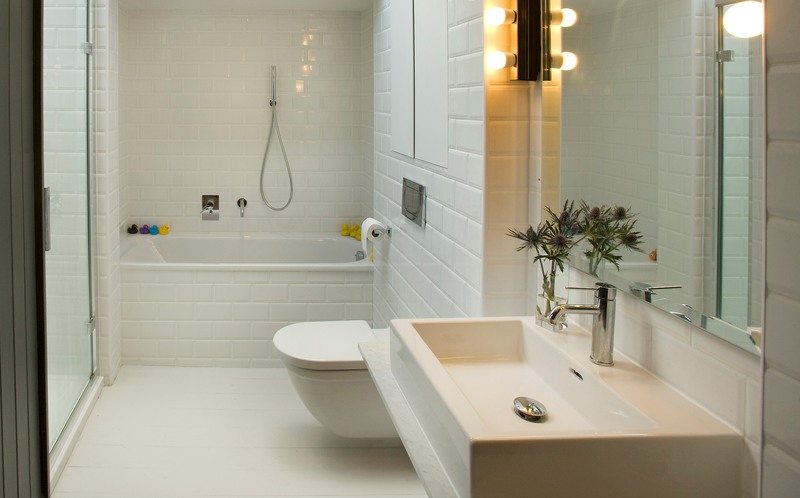 (a bath uses 80 litres of water. An average shower uses 6 litres per minute. 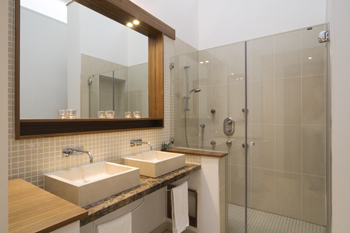 Power showers use 15 litres per minute but people have shorter power showers on average than regular ones). When using dishwashers and washing machines always run full loads and use the low temperature or eco setting (still uses less than hand washing). When buying new appliances chose energy efficient A rated appliances. For drinking and cooking, fill a jug with water and put it in the fridge to use as drinking water so you don’t run the taps waiting for the water to get cold. Only fill the kettle as much as you need. Fix dripping taps and leaks. A dripping tap can waste up to 140 litres of water a week. So you may be wondering why I am having a rant about water when this is supposed to be a design blog. Well here’s why. DESIGN can help! Whether you are replacing your kitchen or bathroom fittings in your home or stuck with the ones you have, there are several innovations that could help reduce your water consumption rates. So, rather than have all of your family rush to the barbers for a number one blade all over, you could get some water saving fixtures and fittings in your home. These can help make cuts in consumption. There are two types of water saving devices for taps and shower heads some of which can be retrofitted to existing ones. These are aerated or flow restricted. Aerated:these force air through the water, cutting consumption by half. The flow is soft and bubbly with no reduction in pressure. In flow restrictor taps the water is forced through smaller holes. This results in a fine, firm spray and a significant reduction in water consumption. You can also switch to mixer taps which combine hot and cold water. For commercial use specify infra red sensor taps that automatically switch off when there is nothing underneath them. 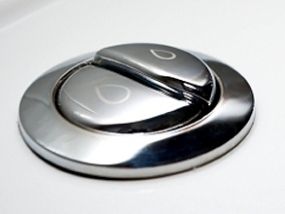 The flow can also be reduced by inserting a cartridge that converts the taps output to a spray. Vacuum flow shower heads aerate and compact the water under pressure. Due to the intense force of the vacuum chamber, the water “explodes” as it exits the shower head, creating a powerful shower stream and only 5 Litres/minute. This technology provides an effective shower so no one is aware they are conserving water. If these are not an option then existing wcs may be retrofitted with low tech devices to displace some of the water. 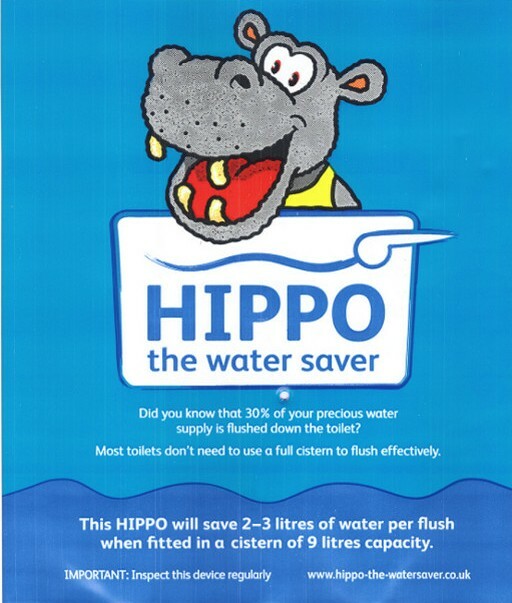 One of these is the Hippo Water Saver, a simple and low cost water saving device to help conserve water in toilet cisterns. Every time a toilet is flushed up to 3 litres of water is saved, reducing your carbon footprint and saving you money. A simple way of reducing water consumption is to collect rainwater for use in the garden or car washing in water barrels. There are many types of rainwater harvesting systems for domestic use. 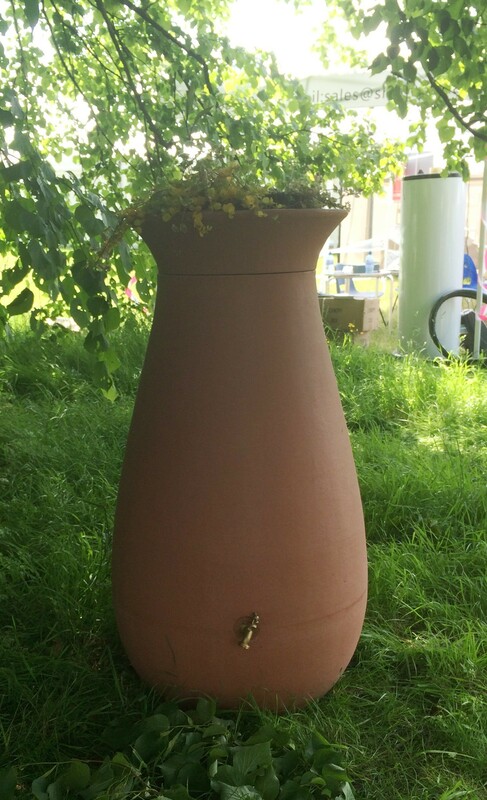 These can be simple containers affairs for more decorative like this one I spotted in Bloom in the Park earlier in this year which doubles as a planter and has a tap for easy use. Other types include wall tanks, filters, rainwater delivery pumps and mains valves. These more sophisticated systems deal with issues such as filtering to strain out debris. Draining off asphalt roofs and lead flashings could make water unacceptable even for garden use. No water should be left for long periods or will become stagnant. At the other end of the spectrum are water storage systems which can harvest rainwater for supplying water for toilet flushing, laundry and micro irrigation. 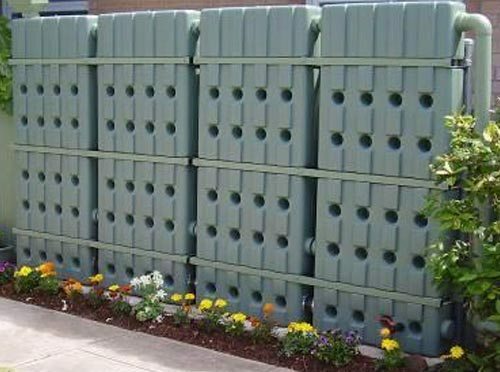 One example is this Super Slim Wall Tank System which can be disguised in your garden with relative ease. Under ground tanks and systems are also available, however the increased capital cost may result in a very long pay back period. As you can see it is now possible to get lots of different water and energy saving device: you just have to look. From taps, wcs, showerheads, aerators,toilet restrictors, to leak detection equipment, energy efficient hand dryers, energy monitors and flow measurement equipment there are a huge amount of devices available which can help reduce our indirect water footprint. One thing is for sure though: we all need to change our ways. This entry was posted in Design, Interior Design and tagged energy saving, reduce water rates, water barrel, water meters by Passionate about Design. Bookmark the permalink.